Wear this classically styled necklace from Roberto Coin's Diamonds by the Inch collection on its own, or as part of a layered look. 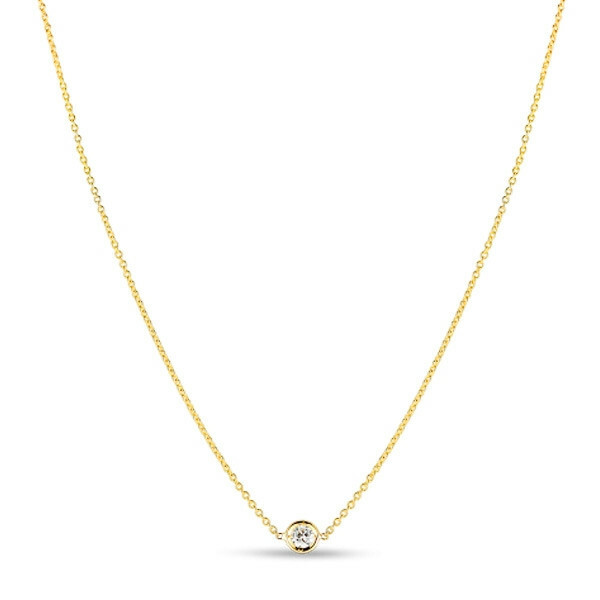 Crafted in 18K yellow gold, a single bezel-set diamond graces its 18" precious metal chain. The classic necklace that will never go out of style can be refreshed when worn layered with other designs from Roberto Coin.